It's a pretty good one, and it really might be my favorite. Fun fact, this was recorded a day or two before Christmas. When watching the suspension, I knew you where talking but all I heard was mesmerising. What was your recording software doing? Hey WhyBeAre could you do more Jalopy? 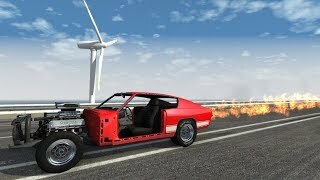 YBR - "Hey this is YBR with BeamNG.Drive and today we are going to look at a mod called the LKS Prerunner. 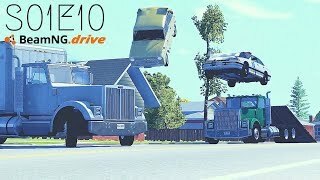 Now..."
YBR - "to imoblize this vehicle"
Only this man would make a forty minute video about a truck. I love the “What’s updog?” that YBR stuck in the video. 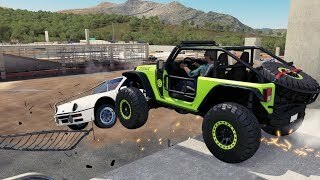 Finally a good trophy truck aside from the offroad Barstow! Like the new intro. Really gets to the point. BTW love your videos keep it up! Hey:I wach't this good job WhyBeAre it's good who bot you wach it.All of your videos are grat. 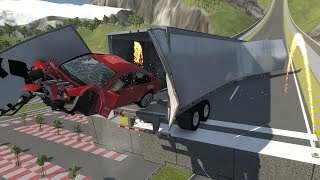 Do another vid on car jump arena plz!!!! 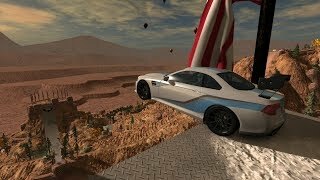 Can someone please help I have not played this game in a long time so there is a way to tear cars apart a button that you press make blue dot things appear and using the mouse you can tear the car apart Also when driving I think it used to be a lot easier start car take parking brake off and drive but when I press forward car doesn’t move? Umm WhyBeAre did you mess up the intro. Hey, the intro is missing completely! Your recording software needs a serious update! He had some struggles a few years ago? I'd contribute to a Kickstarter to make this car a reality! "WHATS UP DOG" Not much wbu. Are we going to ignore that ikea is replaced with kek? Finally! Ive been waiting for this for ever! I like Offroad Hopper the most. But i will give LKS Prerunner a chance. Love the channel YBR, really liking how your channel has been evolving. You explain the maps and vehicles very well and are able to demo them with skill and show off their abilities. Awesome content, keep it up! Where's the "Hey this is WhyBeAre"? I miss 2 videos a day... Now it's 2 videos a month.... But you still make great content YBR! Keep going.